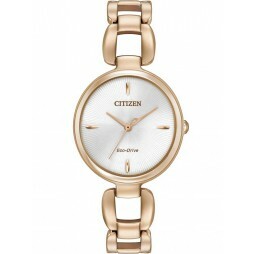 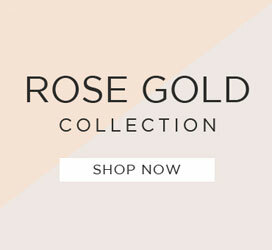 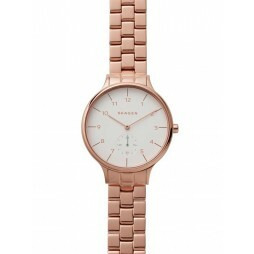 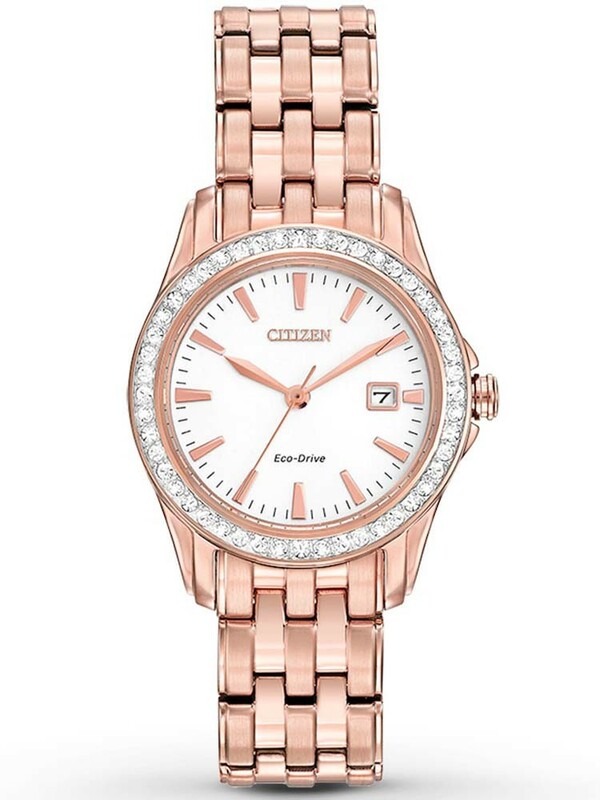 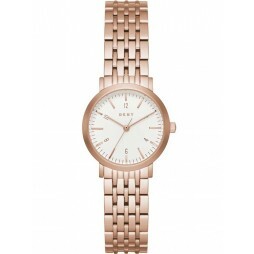 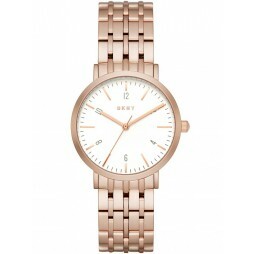 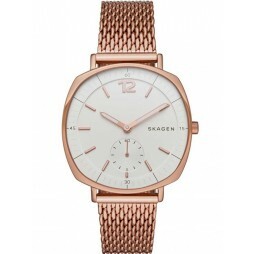 Shimmer in style with this beautiful ladies bracelet watch made from rose gold plated steel. 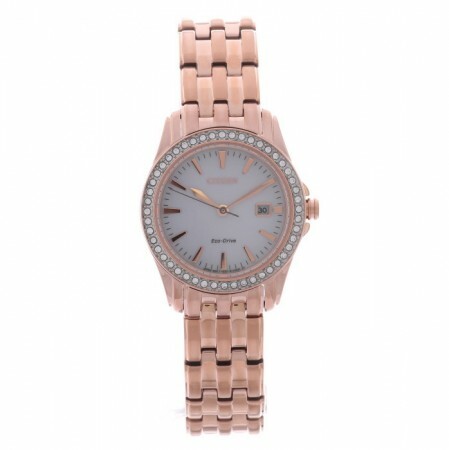 The breath taking round white dial has a sparkly jewel encrusted border, rose gold detailing and a date window for extra functionality. 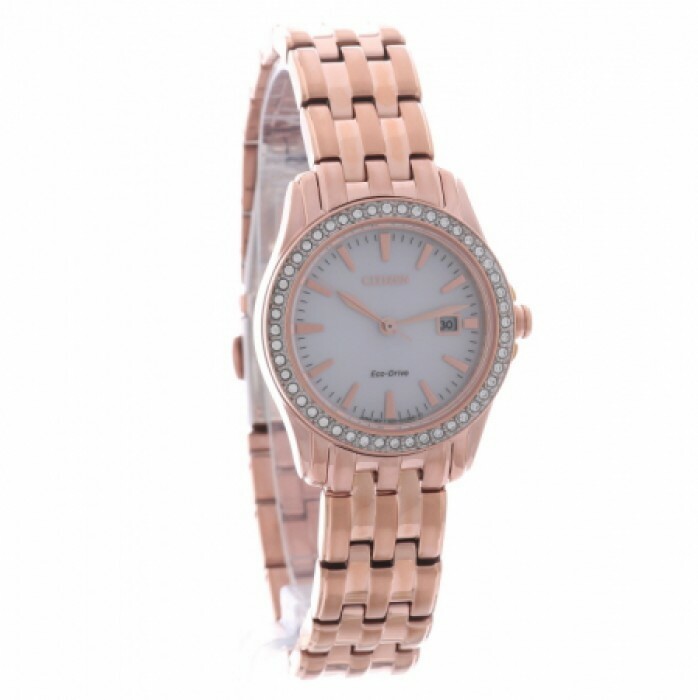 Fastening with a secure push button deployment clasp closure.